We are extremely proud to present to you, our candle collections. These ranges have been carefully selected, by our fragrance experts, to offer a wide range of beautifully smelling fragrances. Each of these professional perfumiers have unique qualities and a history that is passed down into the candles that they make, so what you smell is a combination of both the ingredients and the clear attention to detail. All of these collections use only the highest quality soya wax, combined with natural and organic oils, meaning all the candles and reed diffusers that we sell are 100% environmentally friendly and clean. Lovingly handcrafted candles made in Britain. Marmalade is a beautifully displayed collection of sweet, soft and subtle scents that perfectly capture the sensation of being in nature. This is a range created by someone who’s passion took them around the world to sample the finest ingredients and oils. Enjoy natural couture perfume for you & in your home. This collection has mastered the secrets to diffusing the essence of perfume fragrance. You’ll find sophisticated and complex, yet natural scents for your home. Pure luxury, crafted with organic ingredients. A small artisan company who have an extraordinary range of stunning exotic and evocative fragrances. Developed with a deep understanding of how fragrances can influence mood and feelings of wellbeing. Each fragrance is beautifully crafted to enhance your home and soul. Created by a small family business from Wales, the Quinnell range was created by true candle lovers looking to make luxurious candles at a realistic and affordable price. The candles use 100% soya wax, making them as environmentally friendly as candles come. A beautiful range from wonderful designers. Pure, artisan home fragrance from true fragrance aficionados. 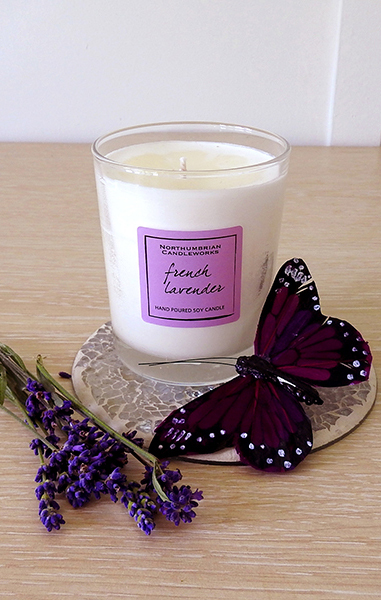 Paddywax have been creating soy wax candles for over 20 years and have created several collections of their own. Enjoy wonderfully themed candles from around the world. A small collection of beautiful candles for £10. Delicate glasses, with a gorgeous ribbon and presented in stylish boxes, these candles make wonderfully neat gifts for any occasion. Browse the Select A Scent collection and find flavours such as frosted cranberry, chocolate orange or the mouth watering cola bottles. Using the power of sophisticated scents to invoke memories and feelings in those who smell them. Spry have an incredible selection of fragrances that focuses, relaxes or clears your mind to help you in whatever tasks you are trying to achieve. All made with the highest quality ingredients. An outstanding range of fragrance products that take familiar smells to a whole new level. Find all of your favourite scents, blended to add a luxurious sophistication that will enhance the ambiance of your home. Each candle and diffuser comes in a beautiful bevelled glass, which once lit reflects and shines to give a beautiful light. If you are a regular candle user then you will certainly be interested in accessorising. Our Aromatize accessories collection makes burning candles more beautiful and safer. Find plates, tea light holders, wick trimmers, candle lighters that will make your candle experiences more perfect.